Please vote for Quattro Environmental, Inc. at www.missionmainstreetgrants.com/business/detail/17089. Quattro has the technologies to mitigate one of the greatest threats to our society: ecological suicide via erosion, soil salinization, and soil fertility losses. What Quattro lacks is the manpower to get the word out. Winning the Mission Main Street Grant would help us “blanket the earth” with our technologies. Eighteen years ago I was at an International Erosion Control Association conference when a startling consensus was announced: The low bid mandate for awarding state agency native plant seeding contracts was the most expensive route to implementing a revegetation project! Fast forward to 2014, there have been no significant changes made to our dysfunctional government policies, and taxpayer funds continue to be squandered on revegetation efforts that have little chance of being successful. Until now. When we are successful at accumulating 250 votes for Quattro’s application for a Mission Main Street Grant, we become eligible for a $150,000 grant to more effectively tell our Quattro “Living Soil Membrane” technology story. Your vote in favor of Quattro Environmental, Inc. would be appreciated in making this a reality. Search for Quattro Environmental, Inc.
Click the VOTE NOW button next to the business name. Guarantee that the products, seed and technology are applied exactly as specified in the design. 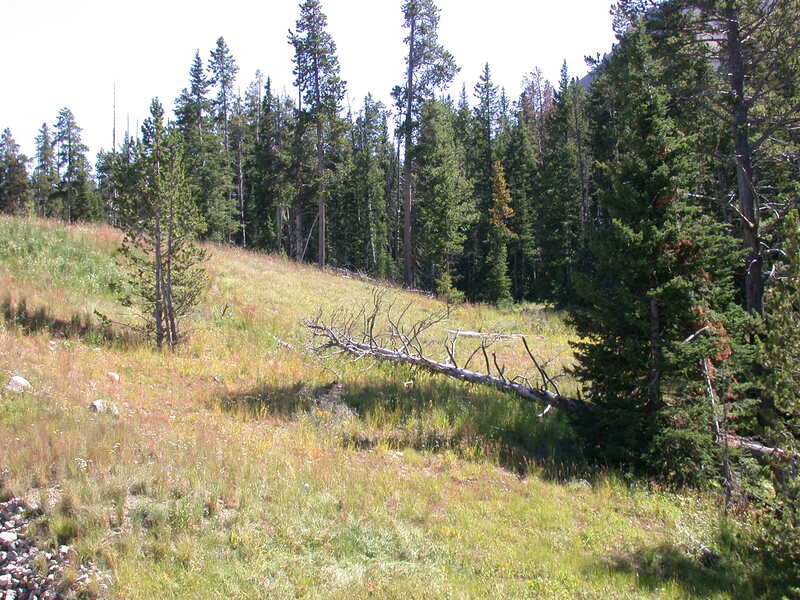 If the landowner can guarantee all of that, then I am happy to guarantee the success of the project. So far, no one has agreed to that proposition. Let’s step back and take a look at what happens all too frequently in our industry. Here’s a typical scenario; you can apply the variations: A design firm is hired to design an erosion control revegetation plan for a project. The project is put out to bid. If it is a state agency, the “low bid” mandate prevails, and the winning bid is so low that we all know the likelihood is high that the specified seed + soil amendment products have not been ordered and will not be used, thus the design will not be implemented. The design firm has no authority over the implementation, thus the low bid contractor is free to use his own tried and true “design.” State agencies all too often lack, or simply don’t use, the muscle to enforce implementation of their approved designs. Is it any wonder that so many native revegetation projects fail? In another incident just over a decade ago, I listened in wonder as a State agency, frustrated by 100% failure rates in their own roadside revegetation projects, seriously demanded that a seeding contractor guarantee the outcome of their (the State agency’s) reclamation design. Holding a contractor liable for the success of a revegetation effort designed by a third party is unreasonable and counter-productive, and making an applicator the scapegoat for a failed seeding effort makes about as much sense as blaming a house painter for cracks in the foundation. Quattro’s answer to that question is: “We will certify our results”. What does that mean to the client? First: All parties involved in the reclamation project understand and agree that the ultimate responsibility for effecting a successful reclamation project remains with the landowner in charge of the property. Responsibility commensurate with authority should be the guiding principle here. Ultimate control and liability rests with the landowner throughout, not with the design firm, seed supplier, contractor or anyone else. Second: All parties, including the landowner, proceed as a Quattro Alliance team to address both the “Holding soil” and “Growing soil” challenges that must be overcome to successfully re-establish sustainable native plant growth on the subject property. The Quattro Alliance uses a multitude of professional disciplines to address a challenging reclamation undertaking. This team approach is essential to ensuring that we manage all the issues that are critical to successful native revegetation, and then follow through flawlessly with a reasonable plan that maximizes the potential for success. Nature is not against us, nor is she for us. She is a force to be reckoned with that is not within our control. She is also intolerant of any “weak links” in our design + implementation efforts. And as climate change grips the planet, “average” weather conditions become harder and harder to predict. So a reasonable plan of attack makes the best use of finances, resources, logistics, talent — everything that is within our control — to achieve each site’s reclamation objectives under climate conditions that can be reasonably expected for the site, remembering that actual conditions may be far off that mark. Third: Quattro’s next task is to employ the team’s “Best Value” technology approach. The shortcomings of the “low bid” mandate (currently the purview of public agency clients) comes into sharp relief when contrasted with a “Best Value” mandate, more typically found among private clients. Many erosion control practitioners may remember the well-attended Contractor Forum at the 1997 IECA conference in Nashville, TN, where after 90 minutes of lively discussion we broke up with the somewhat startling consensus that the “low bid” contract invariably turns out to be the most expensive route to implementing a seeding project. Here we are almost 20 years later still grappling with the fallacy of the “low bid” mandate. Fourth: Quattro’s team, which has designed the “Best Value” approach within the constraints of the project manager/landowner, is authorized to implement the design. Because the design is “Best Value,” there is no need to put it out for bid. Application is an integral factor in Quattro’s Certified® process. 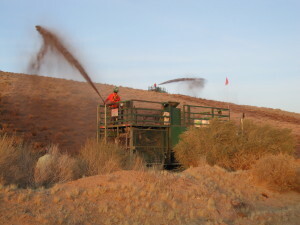 This “Best Value” technology approach has proven highly successful over the past 15 years on diverse terrain and climates spanning all states within the western U.S.
Fifth: If included in the budget, the Quattro Alliance team monitors its projects and remains actively engaged in responding to errant acts of Nature, hungry bunnies or whatever other devils beset a project. We keep working until the goals of the revegetation project are met. This is what Quattro’s Certified® reclamation means. Everything within the control of the Quattro Alliance team, from the start to the finish of the project and beyond, is held to the highest “Best Value” standards. The client can be guaranteed that what he is paying for, he is getting: Quattro’s methodology, team of professionals and proven technologies. A steady stream of consistently successful revegetation projects, now spanning decades, underscores why hiring the Quattro team has paid off handsomely for our clients who are interested in a “Do it once, Do it right” approach. 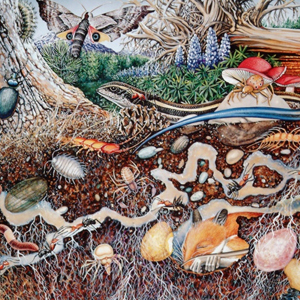 The extraction of minerals and energy from the earth invariably necessitates a disturbance of pristine environment. That is in direct conflict with an often-overlooked best management practice (BMP) for controlling erosion: don’t disturb the soil in the first place. Fortunately, the emphasis of the extractive industries has changed significantly over the past two decades since I first entered the reclamation business. 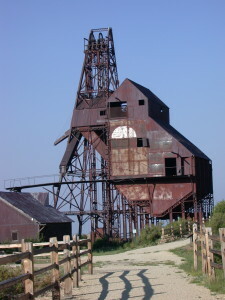 Traditionally mining companies had focused on managing a mineral resource. The game has changed to the point they now acknowledge they also have a broader natural resource to manage. 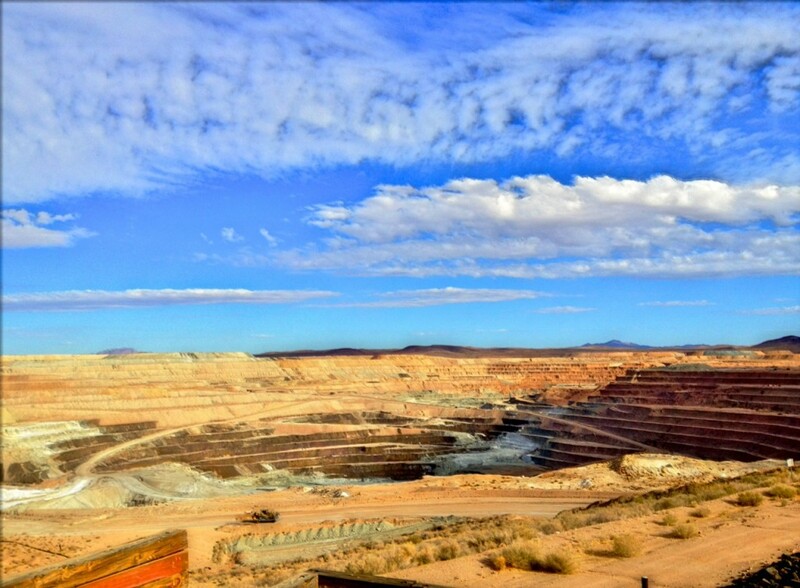 Increasingly mining companies are tackling the formidable task of measuring and reporting both their positive and negative long-term impact on the environment and society. Why? A company cannot find and extract minerals if it cannot access land. Part of the price for gaining future access to land is to meet stakeholder expectations about how companies should currently be managing their land. The strong message our environmentally enlightened society is sending to companies who must disturb the land is that approvals for future projects will only be won if the company can demonstrate that they are appropriately managing current projects. Regulatory pressure supplying teeth to this societal pressure is increasing almost everywhere. Accordingly, in the pursuit of demonstrating good stewardship of the environment it becomes critically important to implement successful reclamation in a timely manner. 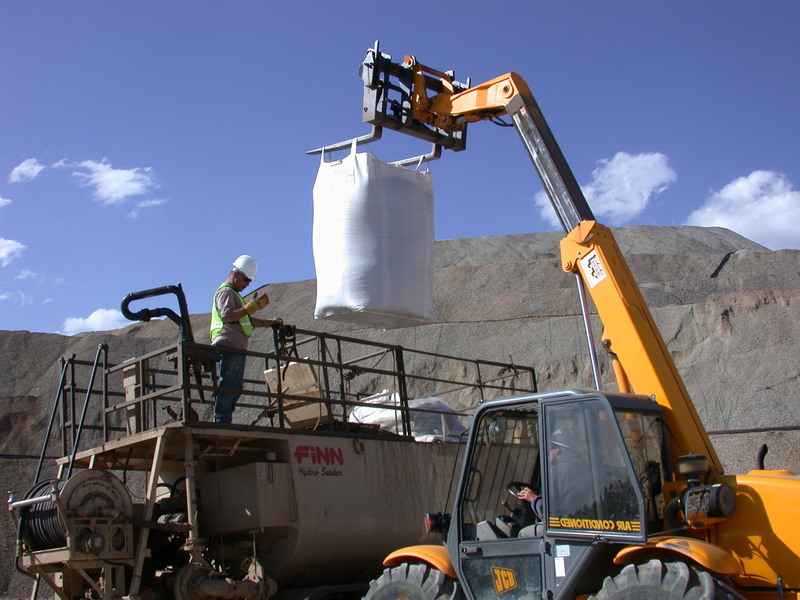 Progressive, successful reestablishment of the native environment is critical to demonstrating a mine’s operational capability, and to creating confidence among stakeholders about current and future mine projects. At Quattro, we have long stated that “Doing it once, doing it right” is the most cost-effective way to manage reclamation activities. Empirical data now exists highlighting the economic benefits of completing reclamation successfully the first time around. Reclamation failures can result in a 50% cost increase over the cost of planning for and implementing proper, and successful, reclamation techniques from the outset of the project. Or to put it another way, the low bid (as opposed to best value) option is notoriously the most expensive way to discharge one’s reclamation obligations. The study addresses the economic impacts associated with both the direct costs and indirect costs of unsuccessful reclamation. 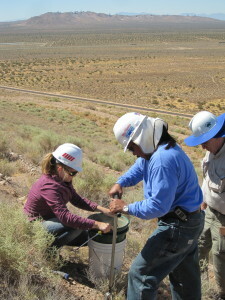 The significant economic impacts associated with the direct costs reflect the additional earthwork for sediment clean-up and regrading, the costs of importing topsoil or applying soil amendments when poor soil conditions generate initial revegetation failures, the obvious repeat costs of re-seeding and re-installation of erosion control products, and the costs of weed control. The hidden indirect costs include environmental manager and consultant time to coordinate reclamation work that needs to be redone, potential agency fines for stormwater management violations, and potential lost opportunity cost due to poor agency and landowner relationships that delay mineral extraction. 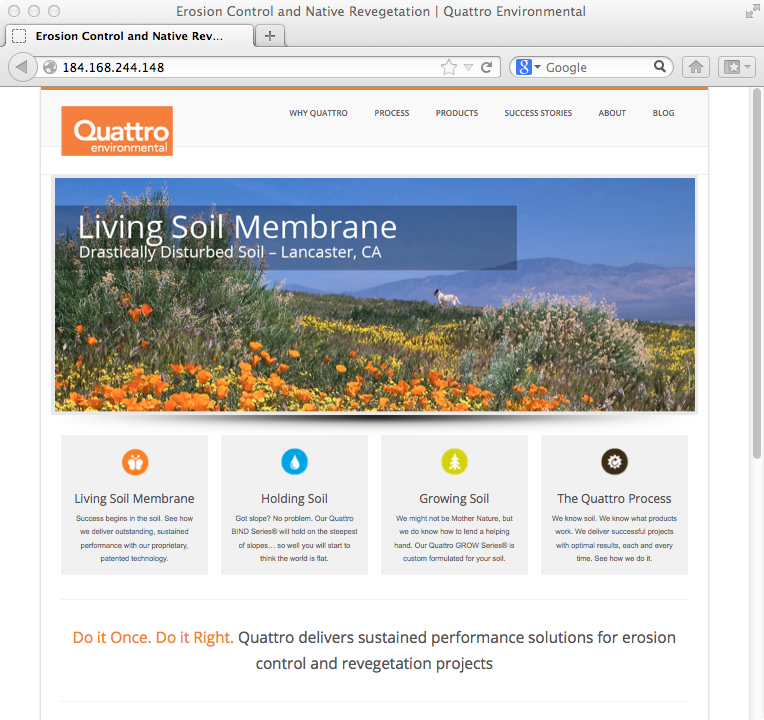 Quattro Environmental Launches New Website! It’s taken a little longer than expected, but Quattro is proud to announce the launch of our new website. Be sure to check out our new BIND Series and GROW Series product lines and our sustained performance case studies that profile our proven track record of successful for erosion control and native revegetation projects. Fresh Look. Same Great Products. Same Great Company. Quattro Environment is proud to show off a new look for the company. We have refreshed our brand, updated our product line categories and launched a new thought leadership blog to keep you informed of the latest technologies and industry news. Be sure to sign up for our quarterly eNewsletter to stay in the loop.